At Dementia Australia, we strive to create mutually beneficial relationships with organisations, businesses and individuals that will grow over time and benefit both parties. 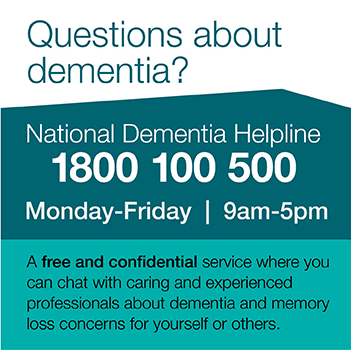 By partnering with Dementia Australia, you can make a difference to the lives of all Australians affected by dementia; people living with dementia, their families and carers. Memory Walk & Jog raises funds to support our much-needed support services, education and research for people living with dementia and their families in the ACT region and across Australia. Sponsorship opportunities are available for our ACT Memory Walk & Jog, or nationally. With your help, we can make sure that our support is always available to those who need it. Opportunity for your organisation to engage with Memory Walk & Jog publicly via social media surrounding the event. We have a range of opportunities for you to be a part of our flagship events series, which reaches more than 11,000 people and raises over $1.5m per year. To find out more about the benefits of becoming a Memory Walk and Jog sponsor, please get in touch. Our team would be delighted to tailor a package to suit your objectives.